When I was asked to write a post about my son and the life-threatening birth defect he was diagnosed with at 37 weeks…I jumped at the opportunity. My son is a survivor but many are not, and I have been d oing everything I can to help spread the word and try to increase awareness. The birth defect is called congenital diaphragmatic hernia (CDH). It’s definitely a mouthful but in layman’s terms, it means a hole in the diaphragm. I’ll get into more detail later, but even though the diaphragm is kind of a forgotten muscle (especially when the baby is still in the womb), suffice it to say that when there is a hole…the survival rate is only 50%. The diaphragm’s main purpose when the baby is in the womb is to separate the abdominal organs from the chest organs. When there is a hole in the diaphragm, the abdominal organs can pass through that hole. At the very least, the extra organs in the chest cause the lungs to be underdeveloped (due to the extra organs taking up the space the lungs need to develop properly). However, when organs don’t develop in their proper location it can lead to all kinds of other issues such as heart defects, chromosomal abnormalities, premature labor, etc. We found out after 37 weeks of what we thought was a perfect pregnancy that our son’s stomach had passed through a hole in his diaphragm and caused his heart to be pushed to the wrong side of his chest. As I mentioned earlier, CDH has a mortality rate of 50%. It occurs in 1600 babies per year in the US and is just as common as spina bifida and cystic fibrosis. However, there is very little research on the cause and there is no known cure other than treating the symptoms with surgery and/or medicine. So basically we went from what we thought was a picture perfect pregnancy to being told our son had only a 50% chance of survival due to some birth defect we had never even heard of. We were devastated! I can honestly say that Monday, 5/24/2010 was the worst day of our lives. We felt lost, alone, blindsided, and had no idea where to turn. If there was any good news from the events of 5/24, it was that we had (hopefully) enough time to make arrangements to prepare for Baby R’s arrival. We wanted to make sure that we were comfortable with all the doctors that would be taking care of our son as it could mean life or death. In fact, the first surgeon assigned to us could not find the time to meet with us for at least a couple weeks. A couple weeks, I didn’t think we had. Since my wife’s fluid levels were elevated, there was a high likelihood that she could go into labor early which meant at any moment. At this point, I started researching alternative hospitals and doctors. After visiting two hospitals in Chicago, we settled on staying in Chicago and having our son delivered at one hospital and transferred to Children’s Memorial after being stabilized. We were extremely pleased to learn that the head of pediatric surgery at Children’s Memorial Hospital in Chicago was extremely knowledgeable about CDH which calmed us down as much as possible That is to say…just a little bit. Fast forward to June 17, we got to the hospital around 7:15 on 6/17/10 for the scheduled c-section. Things were going really well from the start. As always, Amy’s vitals were great and so were Baby R’s / Aidan’s. At around 10 am, Amy was brought to the OR to give her the spinal anesthesia, etc. I had to go to the adjoining recovery room until they were ready for me. That was probably the longest 25 minutes of my life. I was in my scrubs, pacing back and forth just waiting for them to come get me. I had nowhere to go, was nervous for our son, and anxious for Amy. I was finally brought into the OR to see Amy. There were 2-3 OB’s, 3 neonatologists, a couple anesthesiologists, and I think a couple other doctors there for support. The main OB (who happened to be the one who diagnosed the CDH in the first place) was great at giving us as much play by play as we wanted. And then all of a sudden, we heard a little cry. I have never been so happy to hear a baby cry in my life. Many CDH babies don’t have enough lung capacity to even cry at all. That fact that Aidan gave out a little cry was a great sign (we hoped), and Amy and I both let out a collective sigh of relief. I went into overdrive at this point to ensure Amy got a chance to see Aidan. I snapped a quick picture on my phone so Amy could at least see what he looked like. Then suddenly it was time to wheel him away to the NICU. In route to Amy’s room, we stopped by the NICU, and we were able to spend 15-20 minutes with Aidan. He looked great but was fighting with the doctors big time. We found out that the transport service was already on the way. Aidan was doing so well after being transported to Children’s Memorial, that the surgery to fix his hernia (the hole in his diaphragm) was scheduled for 6/21 (when he was 4 days old). Typically surgeons do not rush to fix the hernia through surgery. Current research has shown that it’s actually more beneficial in the long-run to stabilize the baby and allow him/her to get as strong as possible before doing surgery. This can mean days or months before some CDH babies are ready for surgery. After 2.5 hours of surgery, the surgeon came out to the waiting room to talk to us. Her first words were, “he’s a miracle baby—with a great name”. She told us that the surgery went really well but that he was actually in much worse shape (before surgery) than everyone thought. Since he had been so stable since birth, everyone thought that his lungs would be in great shape and that only his stomach and some of his intestines would be in his chest (at the very worst). The reality was that everything was in his chest…his stomach, small & large intestines, spleens (yes he has two), etc. Basically everything but his liver was in his chest. All those organs in his chest caused his left lung to be moderately underdeveloped and his right one to be slightly underdeveloped. In addition, he had no diaphragm at all. This was all a shock to the surgeon since Aidan was basically stable from the minute he was born. His breathing, oxygen levels, blood pressure, etc. were so strong and stable that is was a bit of a surprise that he was actually in such bad shape technically. But his right lung was relatively well developed which obviously was able to compensate for the weak left one. The doctor had to move his organs to their proper places and then make a new diaphragm using Gortex. It is very common for surgeons to patch the existing diaphragm but Aidan didn’t have enough muscle tissue to do that. The surgeon also had to create a new hernia or hole in his abdomen. This is sometimes done when there isn’t enough room for all the organs once they are moved back to their proper locations. Basically Aidan’s abdomen is not used to having so many organs in it, so they created a little extra room for his stomach to grow for the time being. He will need to have another surgery on 7/21/11 to close this hernia (and put his stomach back in its proper location), but it will be “minor” surgery compared to what Aidan has already been through. Once Aidan was moved back to the NICU, we got to see the incision and see how he was doing. The incision was about 4-5 inches across his stomach area. But the neonatologist made a point to tell us that she rarely sees a baby come out of such major surgery and need so little oxygen. He was completely sedated (and was using a ventilator to help him breathe 100%) but his oxygen level was almost already back to normal. I got another update from Aidan’s nurse that evening. He was barely awake; however, he was already starting to breathe on his own in addition to the ventilator. We had our ups and down post surgery. Aidan was extubated, weaned off all medications, etc. only be re-intubated less than 24 hours later and put back on all medicines (with methadone added to the mix). But in the end, Aidan came home after only 29 days in the NICU. We were pretty naïve to what other CDH families went through at the time, but I had a feeling that 29 days was a short time to be in the NICU. I now know that with such a severe defect, we were extremely lucky that Aidan was able to graduate from the NICU after such a short period of time (or even survive past the first day for that matter). Aidan was able to come home with basically no signs of CDH other than a large scar on his abdomen. Aidan had no reflux (a very common side effect of CDH that can last for years) and no other chromosomal abnormalities or heart defects. He was basically a normal 1 month old. However, Aidan would still need to have a hearing test every 6 months for the next 5 years. 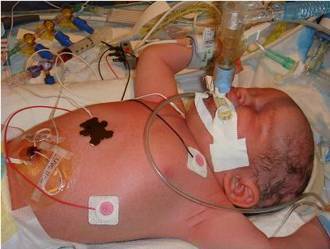 His surgeon has seen some high frequency hearing loss in CDH babies up to the age of 5. My wife and I went through a lot to educate ourselves on this defect that we had never heard of in order to prepare for our first born. But this entire ordeal has definitely made us stronger, and we appreciate life, love and our son more as a result. In hindsight, I feel ignorance was actually bliss to a point. I am almost glad I didn’t know as much about CDH (before Aidan was born) as I do now. If I had been as informed, and realized that of the 1600 cases per year in the US only 50% of the children survive once diagnosed with a hole in their diaphragm and that children without a diaphragm at all are even less likely to survive…if I had realized that there was no known cause or cure and that very little research has been done to try to find the cause…if I had known that often CDH babies have to endure multiple surgeries throughout their lives (which sometimes are cut prematurely short), I think I might have actually been even more scared than I was. For a child with such a severe defect (no diaphragm at all), Aidan blew away the odds which was more than anyone could have every anticipated. In the end, Aidan was 1 of 800 babies to survive in 2010 after being diagnosed with CDH – a defect virtually no one has ever heard of. Neil was born in the NW suburbs of Chicago and still lives there today with his wife and soon to be 13 month old miracle boy. Neil has a Masters in Integrated Marketing Communications from Northwestern and has been practicing integrated marketing for over 15 years. Back in 2001, when they were still dating, Neil helped his now wife start Creative Celebrations. This children’s party planning and entertainment company is still in business today.Neil can be found on Facebook at Neil.Rubenstein and on Twitter at @Neil_Rubenstein.To learn more about CDH and everything that is currently being done to help generate funding for research visit the Cherubs website at www.cdhsupport.org or on Facebook at www.facebook.com/cdhsupport. Wow. That is truly astounding. My heart was pounding when I read that! Beautiful! Thank you very much. Aidan is definitely meant to be here. I hear so many stories of CDH families who don’t have the happy endings we had or have so many other complications. We consider ourselves very lucky! That was a great story. It’s hard to tell our babies’ entire stories in just a handful of paragraphs. (I’m still working on Ericka’s for CHERUBS…) Aiden is such a little cutie and you guys were very lucky to have such a quick recovery. You’ve done amazing things for CHERUBS already, I’m proud to have you, Amy, and Aiden in my “family.” Great blog! Thanks for the comment. The feeling is mutual. I am happy you as part of my CDH family as well. Neil, my heart goes out to and your wife. I (I mean we) know first-hand of the unknown thoughts and questions about what could happen. You see almost 27 years ago, one of our twin daughters needed the same surgery. But we had to wait until she reached 2 lbs – yes 2lbs.! It was only one of the many surgeries she had over the next 3 months. By the grace of God, the story continues – she has recently married – so I know the Lord has blessed your family and will continue to guide and protect your son. Steve–I am so happy your daughter made it through her ordeal. There hasn’t been much research on CDH (to find a cure) but doctors have still come a long way in the past 27 years. Aidan was a big baby, so that definitely helped his cause. Aidan’s second surgery is this Thursday, but fingers crossed he won’t need anymore (unless he tears his diaphragm when he gets older). thanks for the note and your prayers. PS…if you want to support an organization trying to make a difference for all of us CDH families…vote for Cherubs in the Facebook contest at . Pediatric Safety voted for cherubs in the FB contest. Fingers crossed you win!! Thank you so much Stefanie! I really appreciate it! Please keep voting. The contest ends on 8/27 and even with Charlie Sheen backing us now…we need every vote we can get. Go Aidan!!!! I’m so glad he is thriving prayers his seond surgery goes smoothly. I never knew what CDH was until my husband told me his niece passed away from it and since then ive done alot of looking around and found Cherubs to be the most helpful. I pray a cure is found for CDH. After meeting so many other CDH families, I know how lucky we are. Thank you for the message and prayers. Thanks for the kind words, Freedom. I am so grateful for the support that we’ve received from Cherubs and all the other CDH moms/dads throughout Aidan’s 1st year. With Aidan’s next surgery tomorrow at 12:30, I am even more appreciative of everyone’s thoughts and prayers. Your story brings back so many memories for me. Arwyn is now 13 months old and is finally on the right track. Her reflux is on the mend and her development seems to be looking up. I have been praying for your little man. I hope he feels well enough to go home soon. Our sweet little babies were 2 of the 800 to survive. WE are truely blessed. Prayers to you and yours. I hope that they find a cure someday for this terrible defect that has taken the lives of so many little ones. God Bless. Thanks, Cheryl…Aidan is finally home. What was supposed to be outpatient surgery ending being 2 nights and 3 days in the hospital. He’s definitely in some discomfort but is on the mend. It’s amazing what surgeons can do these days. They had to move his stomach and close up in (doctor-made) abdominal hernia. But his liver and intestines had fused to his skin, they had to free those organs up as well. I am glad Arwyn (great name BTW) is doing well too. We’ll always be grateful to Neil, for finding us on Twitter, and further raising our awareness of CDH. Now we know and can tell other parents where to find help and support. Thanks for sharing your son’s story. We are about to have a baby (any day now) with right-sided, liver/intestine/gallbladder involvement. He was prenatally diagnosed at 33w3d, which we thought was VERY late. So happy to hear that Aidan is doing well and that your family is whole. Hoping for a similar outcome for Benjamin. My thoughts and prayers are with you both, too! Eva–I am sorry that your last few weeks of pregnancy have been so stressful. However, I am very happy that your doctor had the wherewithal to diagnose Benjamin at 33 weeks. As short a time as it seemed, at least you had time to prepare mentally and the doctors had time to get prepped–especially, with what sounds like a pretty severe defect. But please remember, the often severe cases like Aidan (and Benjamin) do amazingly well. This is why more research is needed…there is no explanation why some babies with “minor” defects have such a tough road while others who are “severe” to incredibly well. Hoping Benjamin stays put as long as as he can to get as big and strong as possible. I’ll continue to send positive thoughts and vibes your way from Chicago. Feel free to reach out to me if you want to vent or just talk. Obviously every CDH experience is different, but it still helps to have someone to speak to who has been through it. Sometimes even family just “don’t get it.” I’m pretty easy to find on facebook or twitter. Arwyn is now 13 months old and is finally on the right track. Neil, my heart goes out to and your wife. Congratulations Bernadine. Wonderful to hear that your little girl is doing better. All of us here at Pediatric Safety wish you and your family a safe and healthy New Year. I am so happy to hear that Arwyn (love her name) is doing better. It’s hard to believe that Aidan is almost 18 months old. We did have a scare just last week and thought that he had re-herniated. He spent a couple nights in the hospital, but it was a false alarm. I guess it comes with the CDH territory. Have a great holiday season and New Year!! Thanks Neil for sharing your story. I hope and pray that Aiden is continuing to do well. My son Matthew was born with left sided CDH in October of 1997. During my pregnancy, they always told me what a healthy baby I was carrying, until he was born and couldn’t breathe or cry. I think in part it was a blessing that we didn’t know while I was pregnant, as we were able to enjoy the excitemet of his birth. Matthew also had his surgery at Children’s Memorial in Chicago (we live in the NW suburbs as well) and had amazing care there. He is now 14 years old, just graduated 8th grade, and started high school summer school yesterday. I don’t know that others that haven’t been through this could understand what I felt when he walked across that stage. During his surgeries, I could only pray that we would see moments like this. He is such a blessing and a miracle. Aside from the scar on his abdomen from his surgery, you would never know the struggles he went through as an infant. I wanted to post to let you and others know that there is hope for these little miracles and to never give up that hope. My heart and prayers go out to those that are still battling with CDH and to those that have lost their little ones. Sorry for the delay in responding back to you. I am so happy that Matthew is doing so well. My son just turned 2 years old on Father’s Day. Does Matthew still have follow-up at Children’s? Aidan has yearly follow-ups with his surgeon and hearing tests every 6 months. But other than that…he is doing amazing. I’d love to be able to meet you in person at some point. I am not sure if you’ve heard of CHERUBS. They are the oldest and largest organization devoted to raising awareness, providing support, and generating funds for CDH research. I am actually the Illinois Rep for CHERUBS. We just had a walk in conjunction with Children’s on 4/19 to raise CDH awareness. I had 50+ people show-up from 3 states for this event. I am planning another event for 7/14 at Ravinia in Highland Park. Thanks again for taking the time to read my post. I always loving hearing positive CDH stories. Thank you for posting your story. We found out at week 20 that our baby girl has CDH. Her LHR is .7. Though we have done all th research and know the worst we have not lost hope. Several doctors gave us the option for termination……which just isn’t an option for us. Your story gives us hope that our baby can hopefully be a miracle baby too! First and foremost, I am sorry you have to deal with CDH. I understand how stressful it can be (and we found out at 37 weeks…so we didn’t have that long to stress/worry about it). The good news is that the doctors are prepared, ready, and waiting for your baby girl at this point. The best thing you can do is try not to worry and stay as stress free as possible. I know that’s a tall order…but please try to take care of yourself. There is a lot of misinformation floating around the internet so please be careful. One thing our surgeon told us was spend a little time doing research and then “stop”…you can overwhelm yourself with information. We found out so late that the doctors never measured our son’s LHR. It just didn’t matter, so late in the pregnancy. It wasn’t going to change the course of treatment. Just remember, there is no sure fire way to tell the severity of a the CDH case. Our son had no diaphragm at all, yet did amazingly well. As our surgeon said, “we have to wait for the baby to be born…he’ll tell us what he needs And that will determine our next steps”. Unfortunately, there just isn’t enough research to definitively tell anything…so don’t be discouraged by any test results. I am here is you want to talk, vent, or have questions as well. Feel free to reach out at nrubenstein@cherubs-cdh.org. I’ll be sending positive thoughts and prayers your way. Thank you Neil for sharing your story. I came across it while doing some research for my sister . She actully found out that her baby Skyler had CDH at 38 weeks Her heart is on the wrong side and there is a whole in the wall of her heart . She just had her C-section today and we now very little about how the baby is doing. (Horaibly feeling ) i guess thats why i am on the internet looking up whatever i can find . I feel much better after reading your story and will share with my mom and sister and hopefully it will set them at ease as well . I could have sworn I responded to you a while ago…but I must not have. I am so sorry that your family is going through this. Please don’t hesitate to reach out to me for any reason. I am sending positive thoughts and prayers your way. What an amazing story!! I am so happy for you, your wife and your miracle baby Aidan, that your story had a happy ending!! 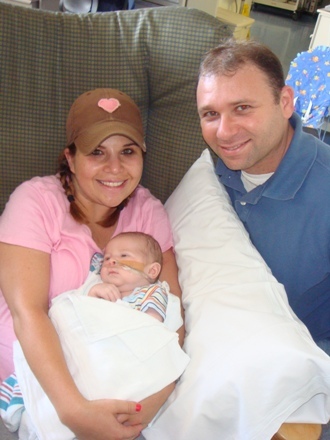 Your story gives much hope to others whose baby has been diagnosed with CDH. My niece, Ashley, and her husband, John, found out at their baby’s 20 week routine ultrasound (1 month ago) that their baby boy, Wyatt, has CDH. Wyatt has a very severe case too. All of his organs are up in his chest. Due to the severity of Wyatt’s CDH, the doctors are recommending that they go to Baylor in Houston, Texas to have surgery while the baby is still in the womb. Evidentially Baylor is the one of two hospitals in the U.S. that does this surgery. Ashley and John live in Madison, WI. Since this surgery is “experimental” their insurance company denied paying for it. The hospital in Madison is appealing the insurance company’s decision. Since Wyatt’s case is so severe, the testing here indicates that he would be a very good candidate for the surgery. Baylor requires further testing that must be done at Baylor to decide if Wyatt meets the criteria for the surgery to be done. Baylor has at least verbally agreed to pay for the surgery if it is deemed necessary after the testing is done. While this is great news, Ashley has been told that she will probably be in Texas for 5 months if the testing shows that she is a match for this surgery. All of the OB appointments, ultrasounds, hotel, food, and any other tests/care that needs to take place while Ashley is there will not be covered. Do you know of any good sources for financial assistance/funding for these types of situations? Thank you so much for your time!! I hope you and your family have a wonderful Christmas. 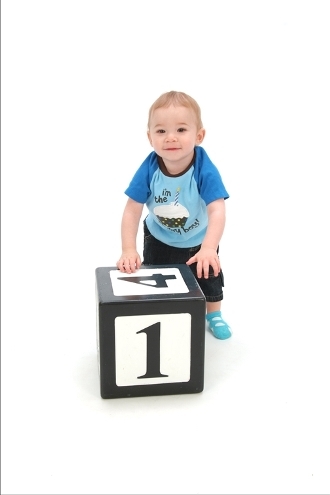 Aidan is at a very fun age, he will make your Christmas extra-special!! I am so sorry that your family is going thought all this. I could have sworn that the Fetal Institute in St. Louis also does the in utero surgery you are referring to. It may be worth checking into that as well. Funding is always such a difficult thing for situations like this. I am the Wisconsin Rep for CHERUBS as well. I’d recommend your niece join CHERUBS (http://www.cdhboards.org/register.php). We have a small fund to give grants to families with CDH children in the hospital. However, our grants are very small and really only cover gas or a night in the hospital. I know many families have had success with benefits organized by friends/family to raise money. I know the mother of a CDH survivor who works at the Children’s Hospital of Wisconsin in Milwaukee. I will reach out to her as well regarding financial assistance. Also, Madison is not that far from Chicago. Has your niece considered any of the hospitals in the Chicago area…either Lurie Children’s or Comers Children’s Hospital for a second opinion? It’s just a thought. My son was at Lurie Children’s. I know those doctors personally. Please feel free to reach out to me and to pass on my information to your niece. I am happy to speak to her as I understand how difficult and stressful this is. I will continue sending positive thoughts and prayers your way. I am sorry for what you are going through. Please know that you are not alone here. Please join CHERUBS…we have over 4000 in all 50 states and in over 60 countries. The one thing that our surgeon said to us that still sticks with us to this day is that there is really no way to know for sure how sick (for lack of a better word) until he/she is born. Doctors can gives you estimates and ratios but nothing is for sure until the baby is born. My son had no diaphragm at all. The best think you can do is stay as positive as possible. I know it’s hard. But you want your baby to stay put as long as possible to grow as big and strong as can be. I am so sorry for what you are going through. Please know that you are not alone. I encourage you to join CHERUBS. We are your extended family of people who have all been through it. Please know that regardless of what tests the doctors do and the ratios they calculate, there is no way to know for sure how sick (for lack of a better word) your child is until he/she is born. All the doctors can do is estimate. My son had no diaphragm, and he was only in the NICU for 29 days ( a relatively short time). I know it's hard, but please try to stay positive. That's the best thing you can do to help your child stay put (and get as big and strong as possible). You are more than welcome to reach out to me at nrubenstein@cherubs-cdh.org. I just wanted to say your story touched me. I am also the mother of a CDH survivor a little boy named Carmello (2/15/10) and I relive that ordeal every day. I love to hear the success stories because it gives hope to other parents. Thanks for reading and thanks for your message. Unfortunately, we heard about the losses to CDH all the time. But 50% do survive. MY son was born with a diaphragmatic hernia in 1994. I had never heard of it before. The mortality rate back then was much higher. Well, in the 90 percentile. My son was given less than 6% chance of survival. Luckily for me they found out beforehand, and he was taken early, the neonatal team was in the room, and they took him away, and he was paced on ECMO. He’s 18 now, tall and thin, but he still has issues. He was on a feeding tube the first three years of his life, 7 major surgeries and numerous trips to the E.R over the years. His last hospitalization was in 2012. There isn’t much information out here for children who survive, what problems they can still have, etc. My son is a 6 million dollar miracle. It has been truly hard over the past 18 years, but I don’t regret one moment, and we have such a special. special bond. I wish you and your family all the best. Thanks for reading my post and commenting. I am happy to hear about another CDH survivor in his teens. I would encourage you and he to join CHERUBS (http://www.cdhboards.org/register.php). We actually have a lot of survivors (many who are in their 20’s) that are very active. I am sorry for the delay in getting back to you. Things have been pretty crazy over here as my 2nd CDH survivor just came home from the hospital about 1 month ago. Yes, I have 2 CDH survivors. Neither one had the balloon surgery. That surgery is only performed at certain hospitals and only in situations where the doctors believe the success rate will be high. I strongly encourage you to check out CHERUBS at http://www.cherubs-cdh.org. 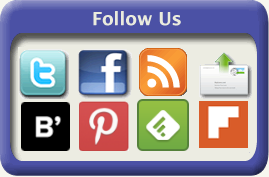 It is a great organization with a lot of valuable information on their website. Plus when you join, you gain an extended family instantly the truly gets what you are going through. The most important thing for you to do is try to stay positive. Unfortunately, there is very little you can do at this point but wait it out. However, I would suggest finding out how many cases of CDH your hospital sees per year. If it’s not around 5, then you may want to consider a hospital that sees more children with this birth defect. It is also important that the hospital have ECMO. Neither of my 2 boys needed to be put on ECMO, but it is unfortunately pretty common depending on how developed the lungs are and the level of pulmonary hypertension. The best place for you baby right night is in your womb. That is where she can grow and her lungs can develop before she needs to actually use them. Once she is born, the doctors will stabilize her and determine next steps once she is assessed. It is a rocky ride, and I am sorry you have to deal with it. But please know that you are not alone. I am sending lots of positive thoughts and prayers your way. I’m a CDH survivor also. Im 21 now and I just found out that I have a hole in my diaphragm again. So sorry for the long delay in responding back to you. I hope you are doing well. Reading your story brings happiness to my heart knowing Aidan is doing so good. I, myself was born with CDH, along with a congenital heart defect, called atrial septal defect and a collapsed lung, I’m happy to say that 43 years later, I’m still alive & well! I was also treated at a chicago hospital, your lil guy is in good hands! God bless you & your family! I am so sorry for the delay in responding to you. Actually since I wrote this blog, my wife and I had a 2nd CDH boy. Fortunately, he is a survivor as well. Aidan is now 4 1/2 and Brody is 15 months. Feel free to reach out to me. 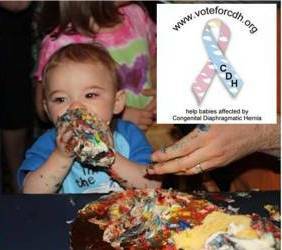 I organize events for CDH families in the Chicago area at least once a year. This gives me hope as we await surgery for the same CDH diagnosis for our 2 day old grandson. Surgery should be in 2 days. So sorry for the delay in responding back to you. I actually have 2 CDH survivors now. I hope and pray that your family is doing well. It is so wonderful to hear that you son is doing great. I am from South Africa and in 2005 my baby was born without a diaphragm. They put in one on day four and they said everything went well unfortunately her intestines moved into the lung cavity and by day 11 she passed away. It was the first time in South Africa that the doctors delivered a baby without a diaphragm. When she was born they told me her diaphragm had a hole, they only found out that there was no diaphragm present when she was int he operating room. But nevertheless it makes me so happy that your little one pulled through. I guess it also depends on the doctors we have out here in SA. My family is undergoing with similar experience.. our son (Nirbhay) is a left CDH and post surgery recovery state.. he is now 15 days old. Wanted to connect with you for possible future care required and to seek advice. Suggest if we can talk?